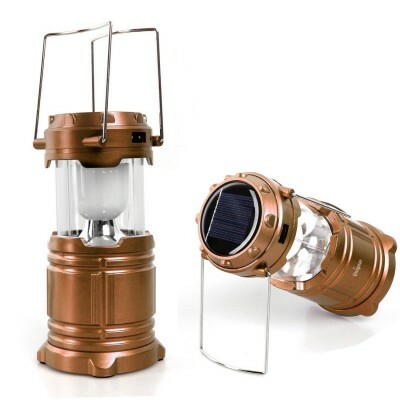 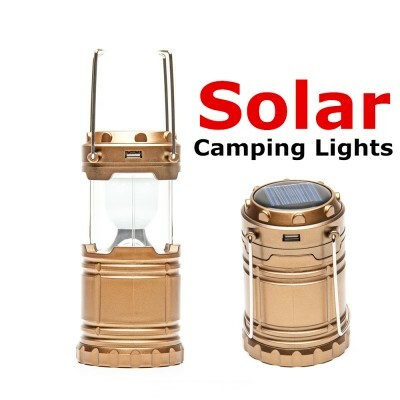 Solar Camping Light 2 In 1 - YT 829-C: 0272. 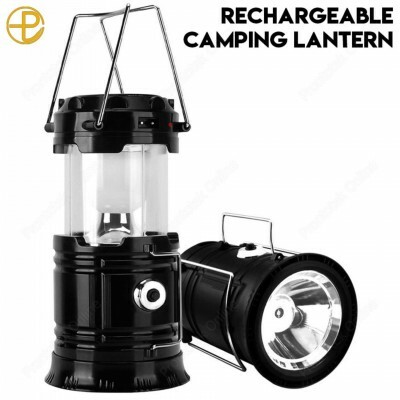 Energy Option : 800mAh built-in rechargeable battery to insure that it can keep lighting over 18 hours-supporting current charging and solar charging. 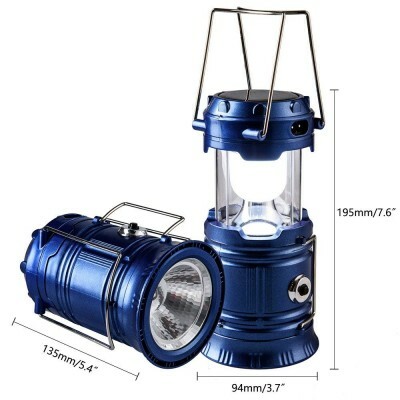 Design for 2-in-1 function : Practical and multi-function collapsible construction allow it can transform between camping lantern and flashlight-lightweight, compact and carry convenience. 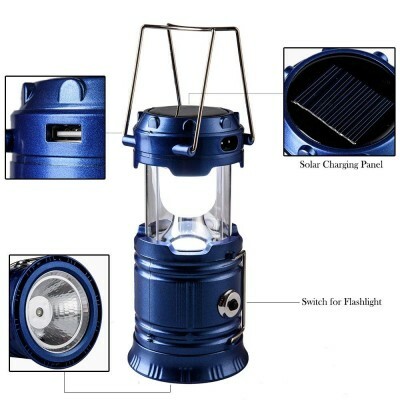 Includes 6 individual low powered LED bulbs, 360° lighting, Suspend the lantern or carry with ease by foldaway handles. 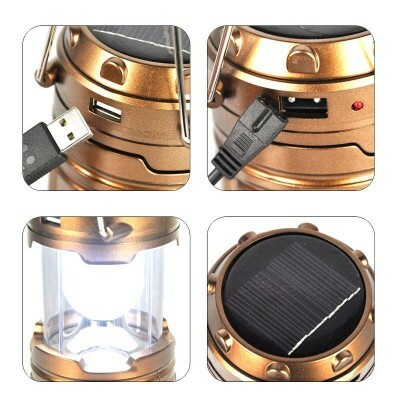 Bottom switch use to control spotlight, Emergency Charging : Emergency backup Charging for the most Android mobile phones, but not including IOS mobile Phone, Ideal for Outdoor and Emergency events. 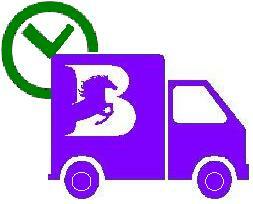 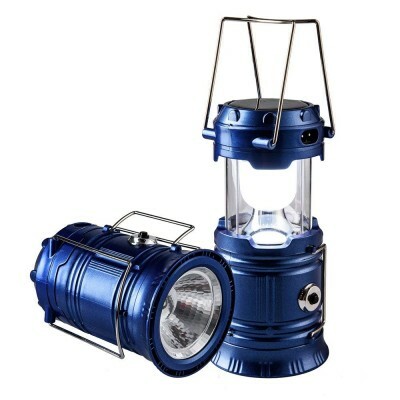 - Deal for Camping, Hiking, Outdoor trips, Fishing and Hurricanes, Outages emergency events. 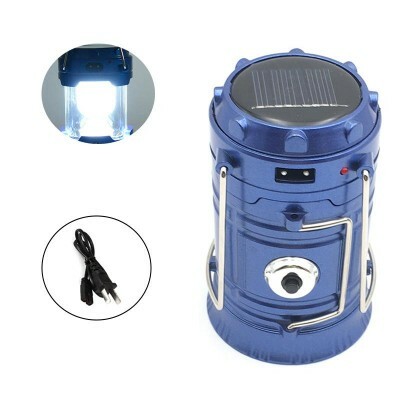 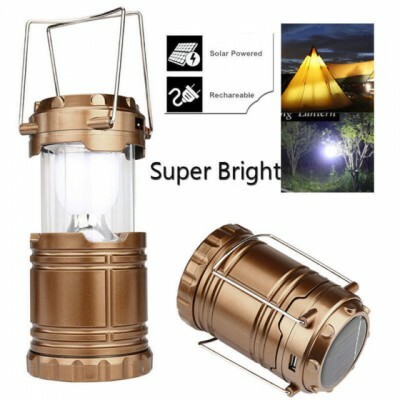 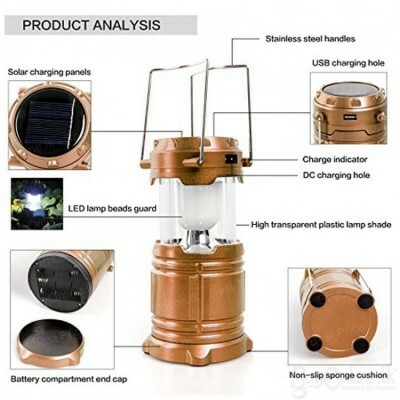 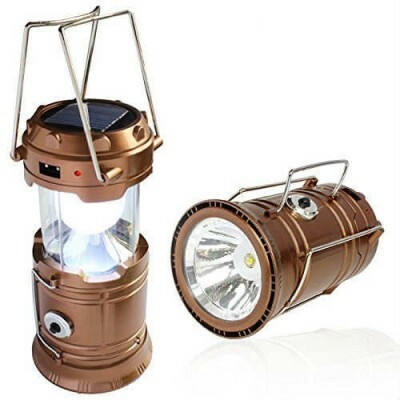 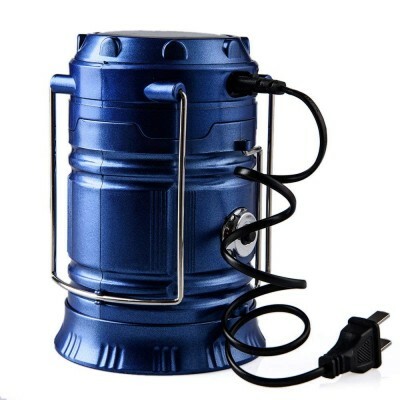 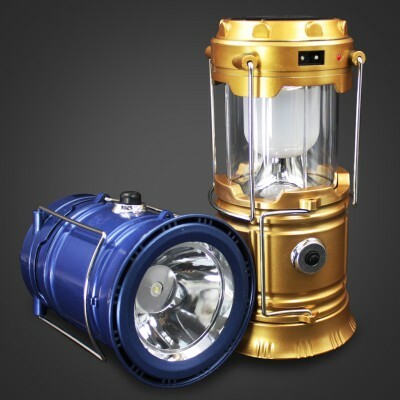 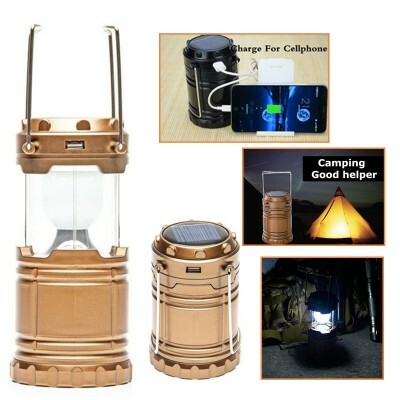 - Packing include : 1 x 2-in-1, Camping Lantern Flashlight.